Greg brought home some haddock, a flakey white fish, from Wholey’s and I took on the task of making it. In the past whenever I had fish at home I would call my sister for a recipe. She eventually grew tired of this routine and gave me a cookbook: America’s Favorite Fish Recipes from The Freshwater Angler. 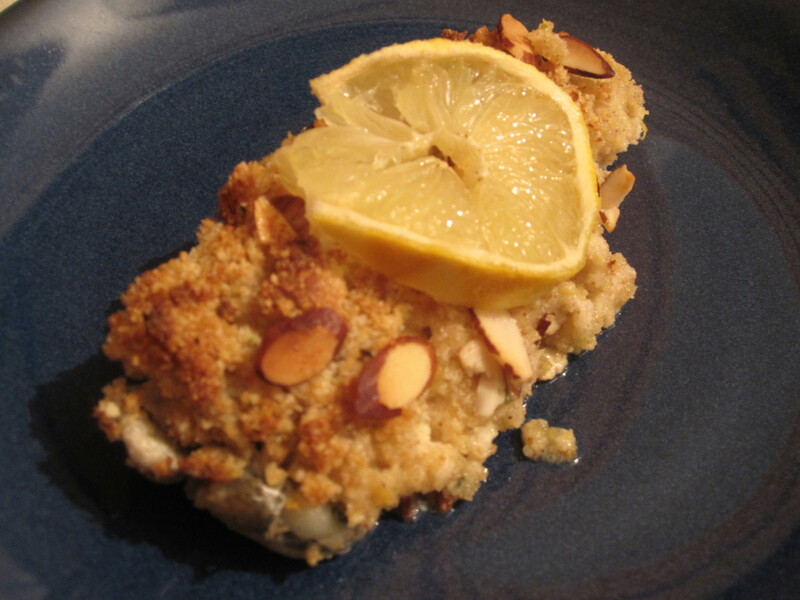 I finally opened it up and found a recipe for Crispy Baked Salmon, which I thought sounded (and looked) really tasty. 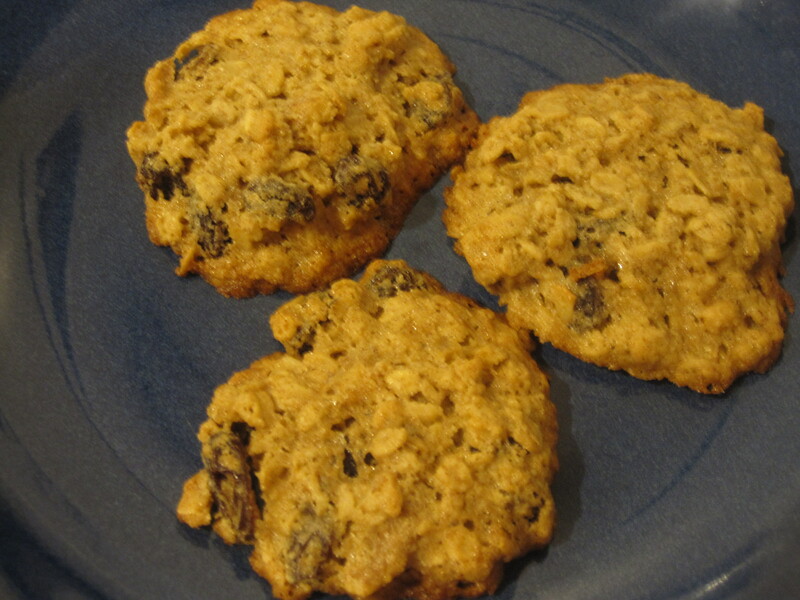 I rarely make sweets, but I’ve now made these cookies twice in the past three weeks. Twice! They are so good and I want you to have the recipe. Oddly enough, it’s from Williams-Sonoma. Awesome store, but who knew they also had awesome recipes? Well not me, but I was pleasantly surprised. I bet your wondering how I found it. 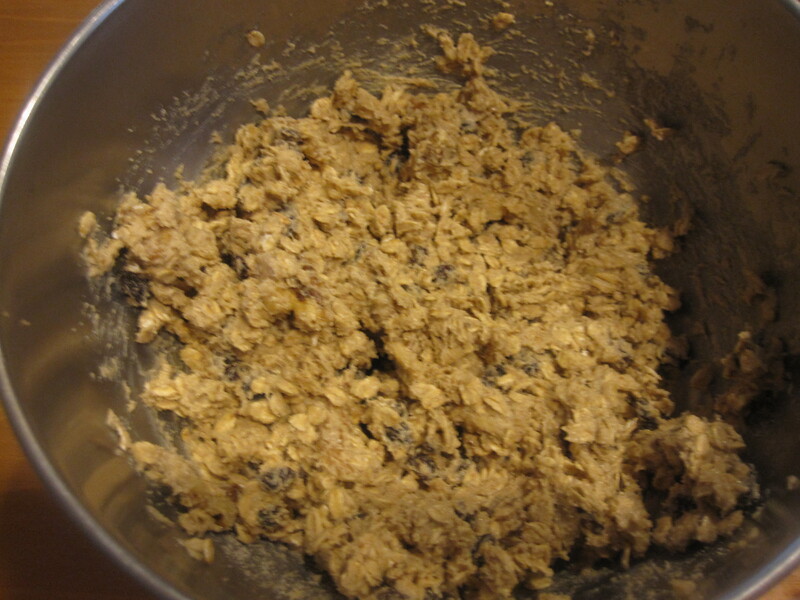 I found the recipe by using the search terms ‘oatmeal raisin cookie recipe baking powder’. This is because when I was at the grocery store purchasing the ingredients to make cookies, sans any type of recipe, I assumed I had both baking powder and baking soda at home. 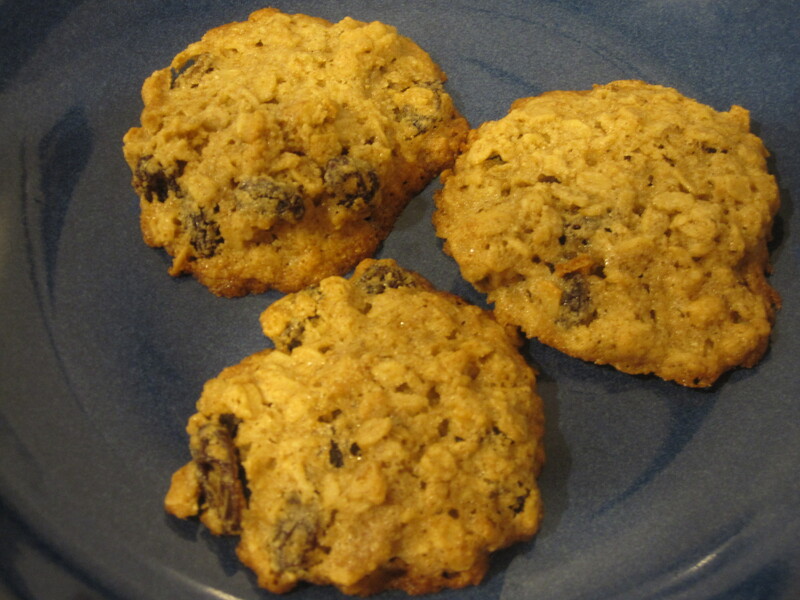 To my dismay, only the former was true and I as without baking soda, which is in practically every oatmeal raisin cookie recipe on the internet. 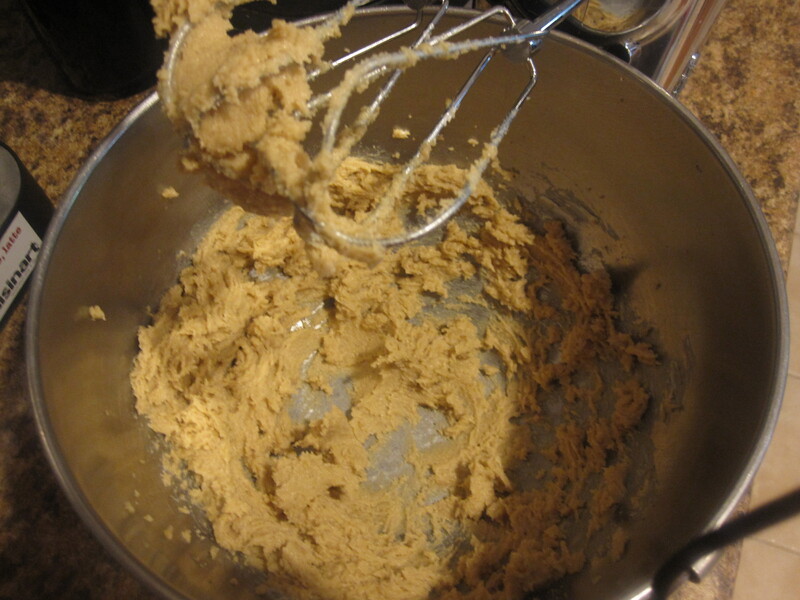 Or so I thought… until I found this little gem of a recipe that only required baking powder, not soda. Hooray!Aren’t you glad you know now? The first time I made the cookies I followed the recipe exactly and if you can’t tell from above, I loved the way they turned out. I brought them to a work-related event and they got some good reviews. For the second time around, I played with the ingredients slightly. 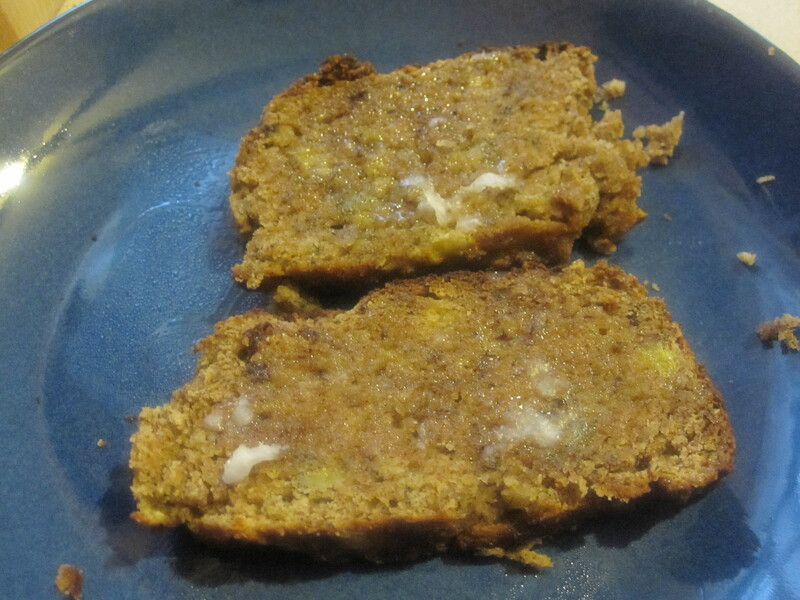 I used almond flour instead of traditional all-purpose flour and I added some chopped walnuts. Flavor wise they came out great once again! Texture wise, I think the use of the almond flour left them a little flat and a little sticky. This was fine for me though, because they were for my consumption only this time! 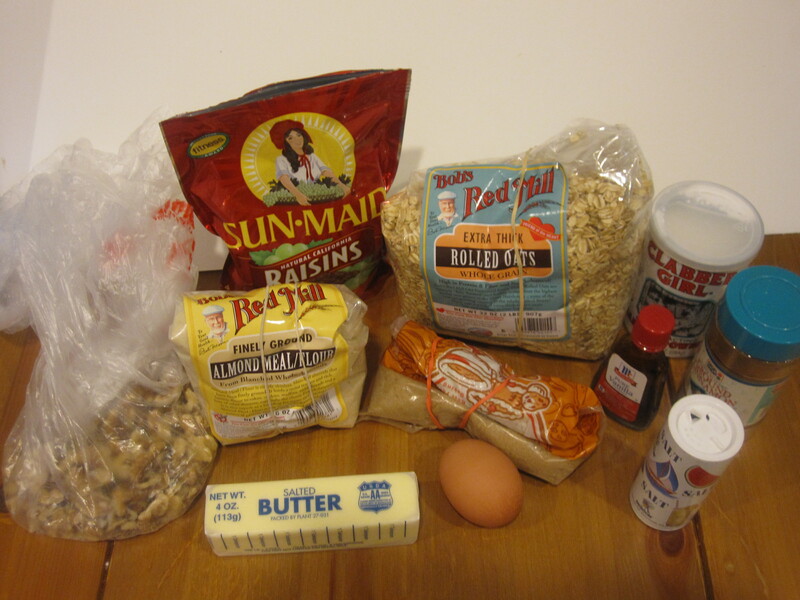 Walnuts, almond flour, raisins, rolled oats, baking powder, cinnamon, salt, vanilla, brown sugar, an egg, and butter. 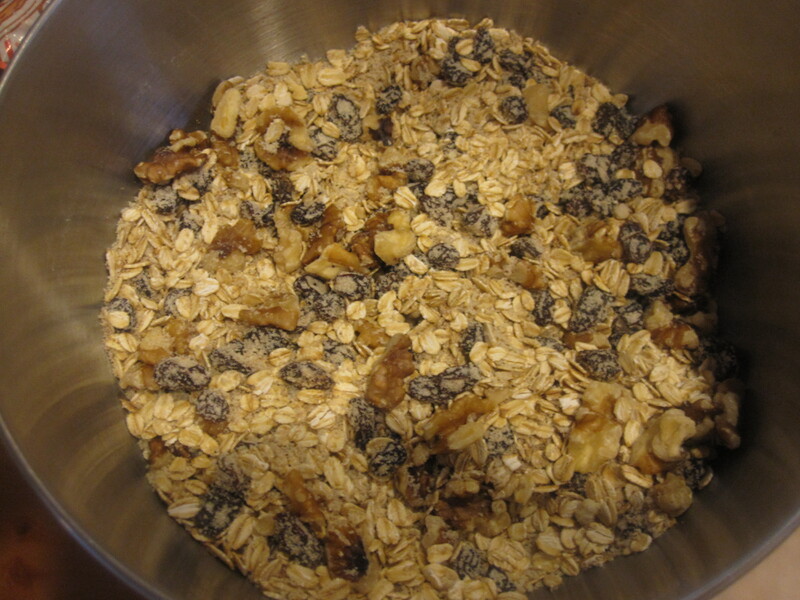 The first step is to mix the dry ingredients (flour, oats, raisins, baking powder, cinnamon, salt and nuts (if using- I used 1/2 cup) and set them aside. 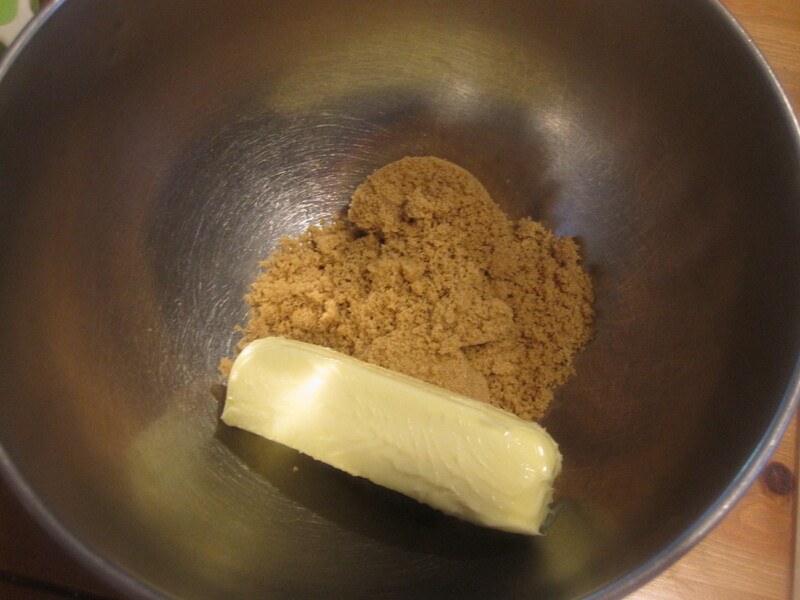 Next, you want to mix the butter and brown sugar in a separate bowl with an electric mixer. Why yes, that is an entire stick of butter. Next time I want to try a lower fat substitute, but for now, here’s the real deal. At this point you want to add the egg and the vanilla extract and continue to mix. It looks pretty similar to the above photo at this point, just a little creamier. 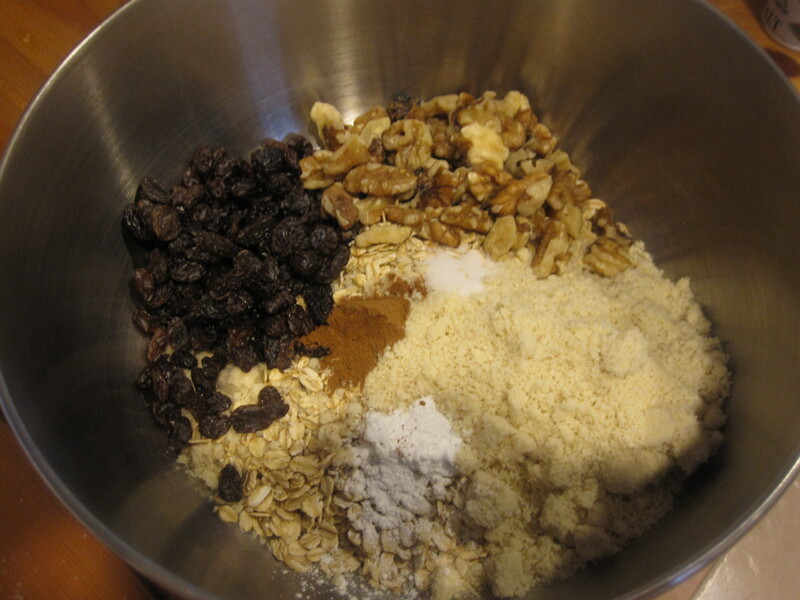 Next, add the dry ingredients to this bowl and mix with the electric mixer until all the ingredients are combined (about one minute). 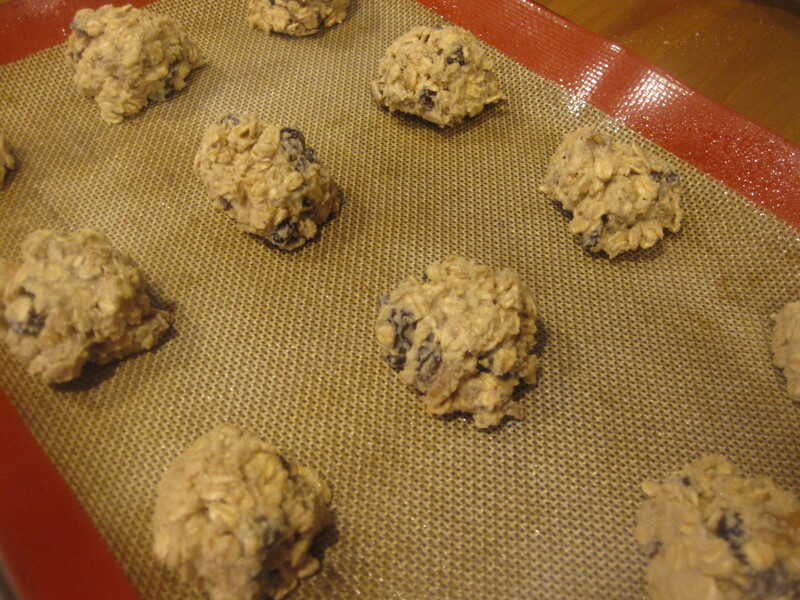 Scoop them out onto the baking sheet (about 12 per sheet). Bake for 15 minutes at 350 degrees and let cool on a wire rack. When the cookies are ready, remove with a metal spatula. The recipe suggests cooking one baking sheet at a time. These cookies have provided great fuel for my morning runs in this sauna they call Maryland. 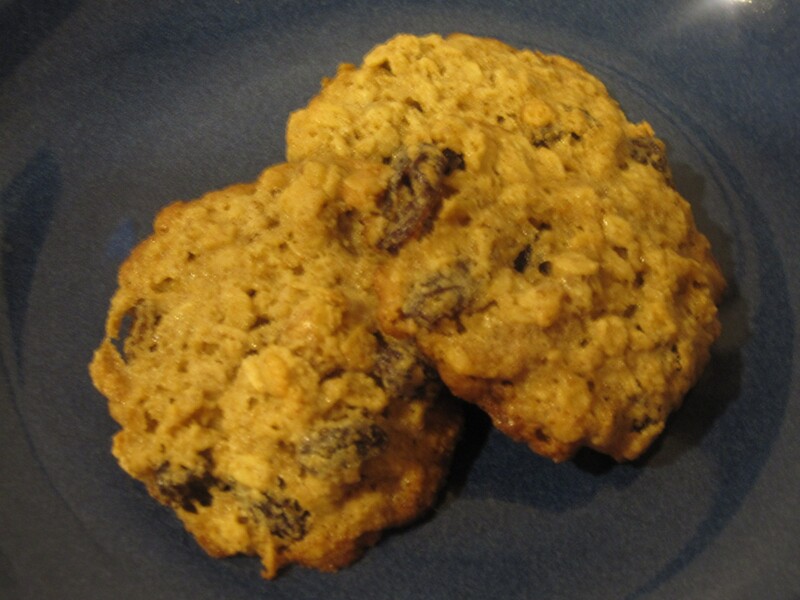 This is a great little oatmeal raisin cookie recipe and I look forward to working from it in the future to make healthier versions. I’ll keep you posted on that! 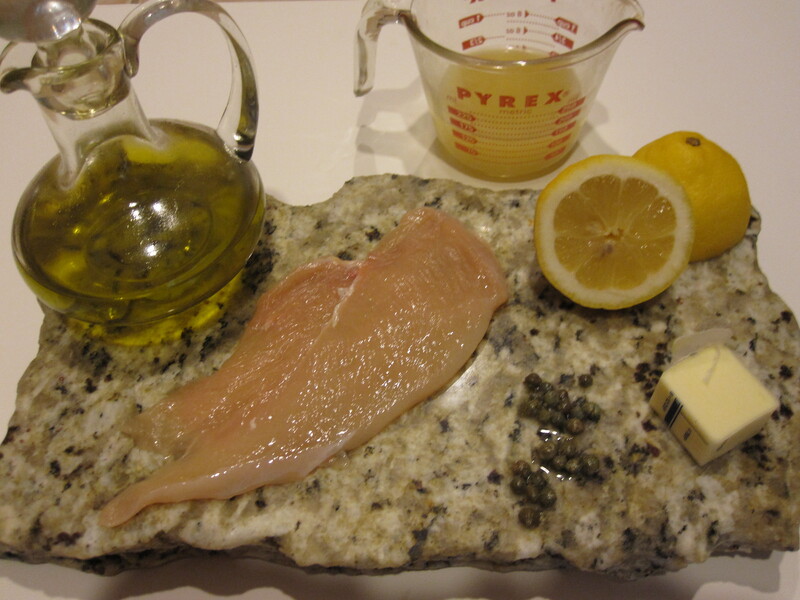 My sister sent me this recipe for chicken piccata almost two years ago and Greg and I been loving it ever since. It ‘s certainly a basic version, but it’s a nice easy to follow recipe and tastes great. I’ve served it with different sides in the past, including pasta, rice and veggies. Rice is probably the best as it soaks up the delicious lemony sauce. 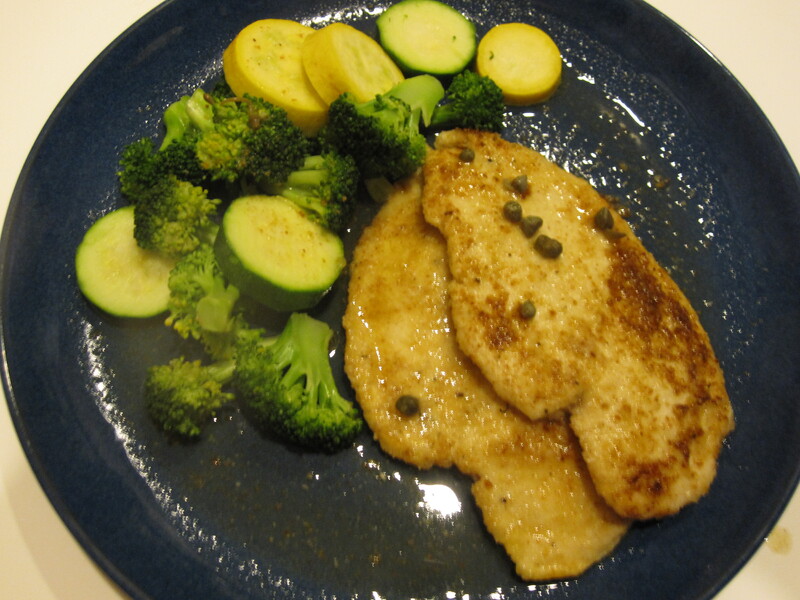 For this go round however I served the chicken with some steamed broccoli (another good sauce absorber), squash and zucchini. The ingredients include olive oil, chicken (of course), chicken stock, lemon juice, butter, capers and flour ( not pictured). 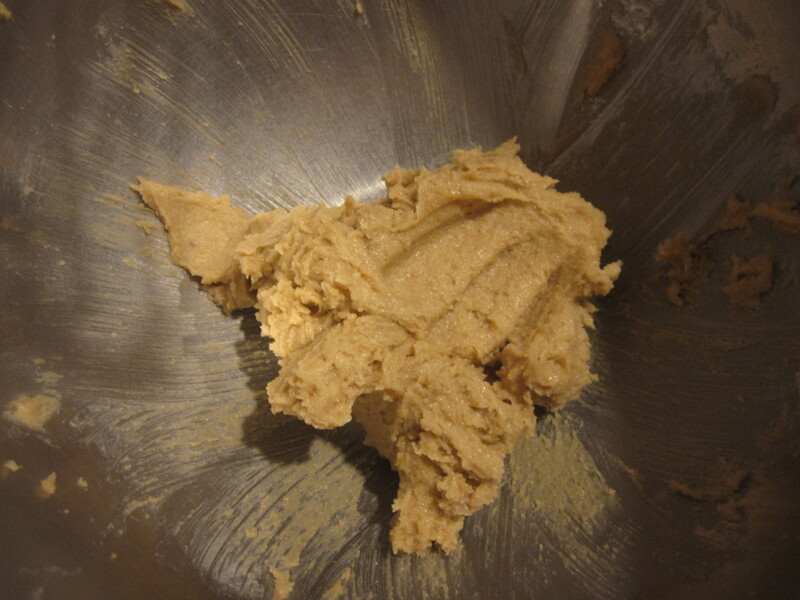 I actually experimented a bit and substituted almond flour for traditional all-purpose flour. 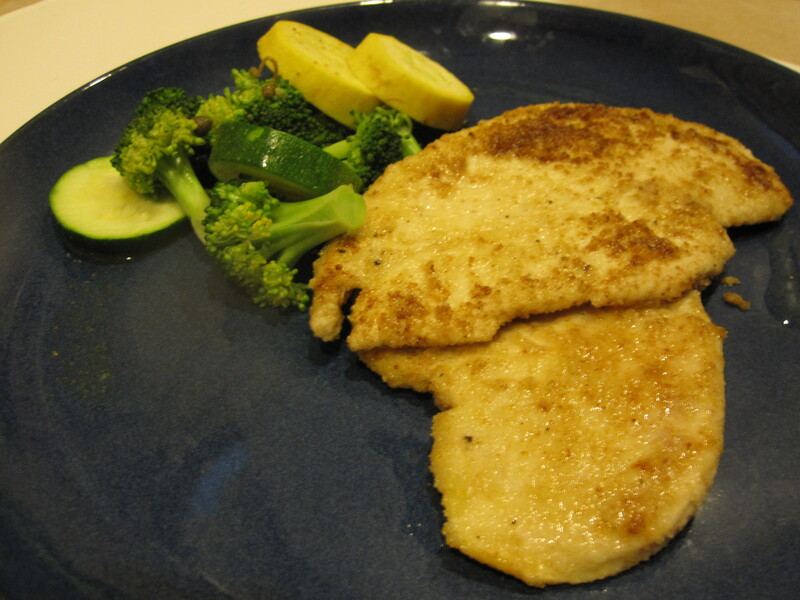 Almond flour/meal has more fiber and less carbohydrates than regular flour and worked pretty well in this dish. I purchased chicken breasts that were already sliced thin. 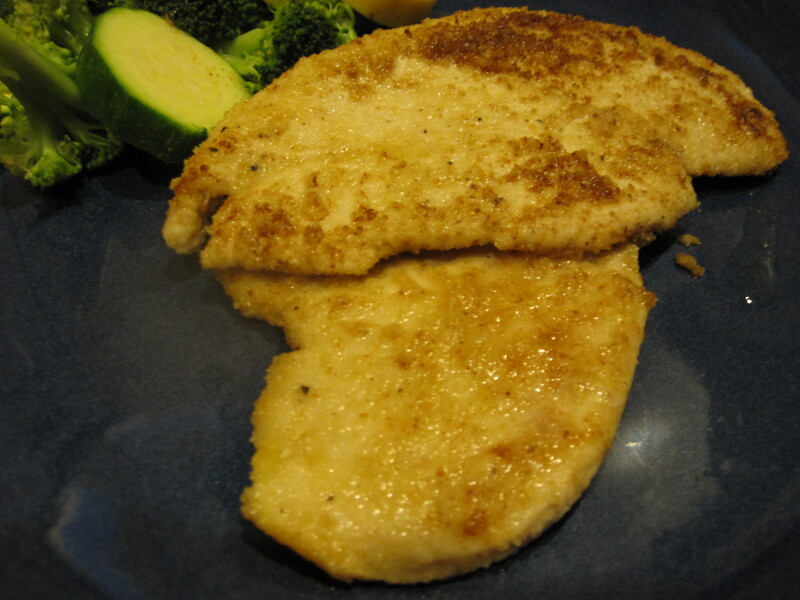 If you are using regular chicken breasts you can slice them in half and pound them out. This is a bit easier if the chicken is still semi-frozen or if you buy it fresh, you can put it in the freezer for a few minutes to make it easier to slice. The next step is to coat each chicken piece with flour. 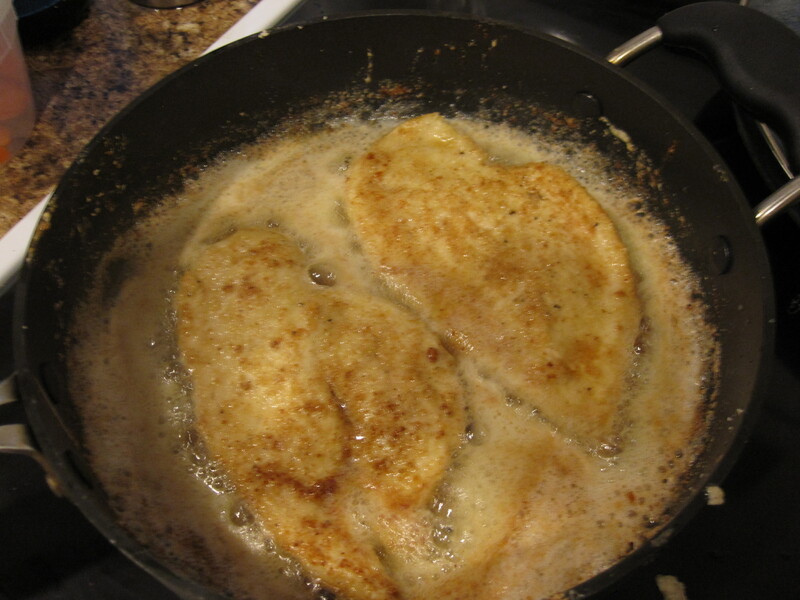 Then get your butter and olive oil going in a pan and begin to cook the chicken. Since the pieces are pretty thin they do not need much time, maybe 2-3 minutes per side. As each piece of chicken finishes cooking just set them aside. 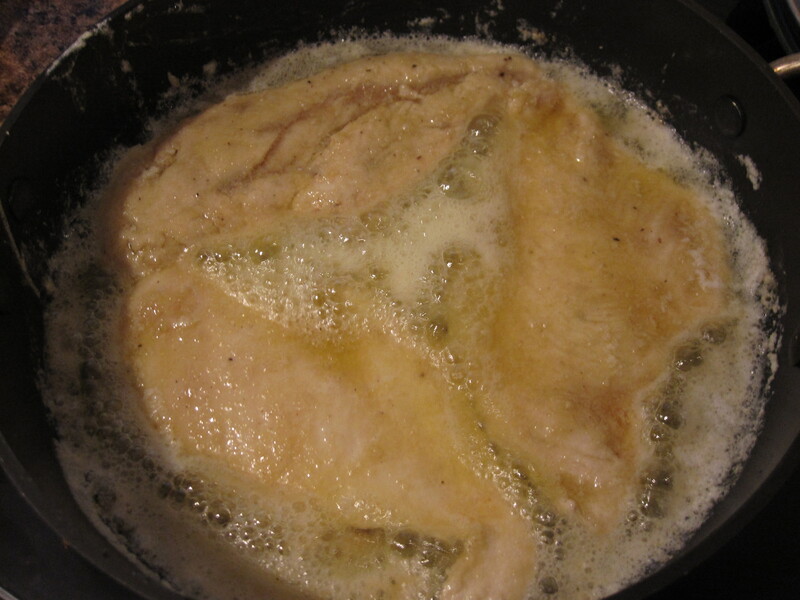 Once all of the chicken is cooked and removed from the pan, add the chicken broth and lemon juice to make your sauce. Let the sauce get up to a boil, then turn it down to simmer and reduce. 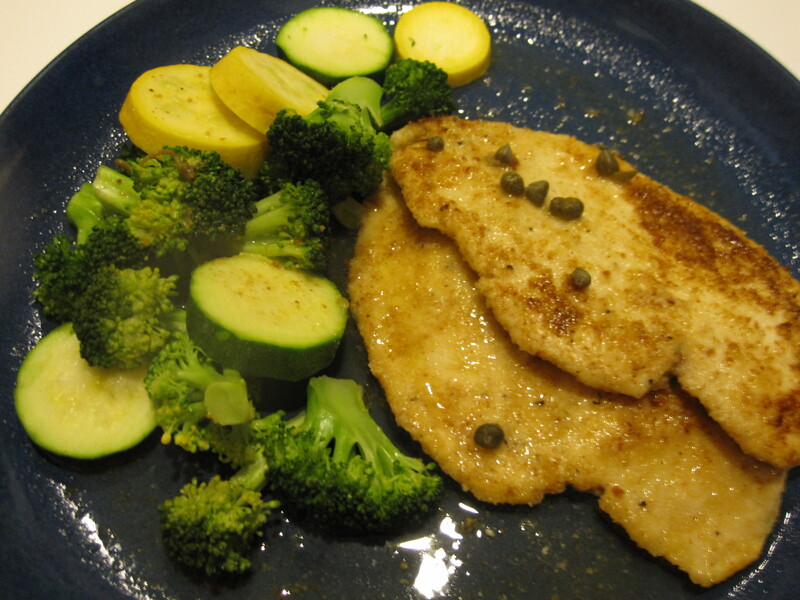 Once the sauce is nearly finished you can add capers (this was not part of the original recipe) if you’d like. 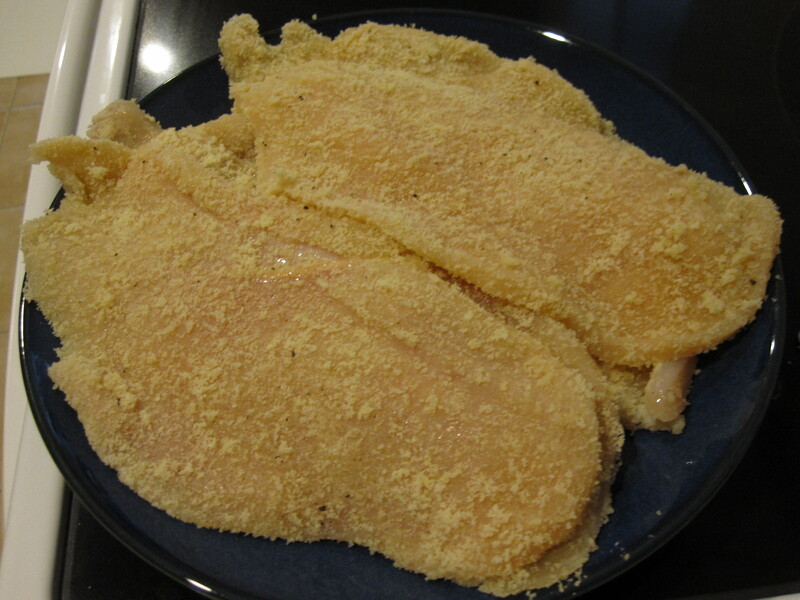 Then dip each piece of chicken into the sauce, coating it completely. Plate the chicken and pour sauce over top or serve in a gravy boat. I hope your enjoy this one!